SPRINGFIELD, Ill. — H.D. Smith has unveiled a new executive leadership structure designed to better position the company to capitalize on trends in the health care market. The nation’s largest independent pharmaceutical wholesaler said Tuesday that Dale Smith has become chairman and chief executive officer of H.D. Smith Holding Co. He previously was chairman and CEO of H.D. Smith Wholesale Drug Co. In the new role, Smith will oversee all H.D. Smith business units, including pharmaceutical distribution and specialty solutions. He said his new position will better enable the company to marshal its resources in its mission to help customers rein in health care costs and maximize patient health outcomes. Chris Smith, formerly president and chief operating officer of H.D. 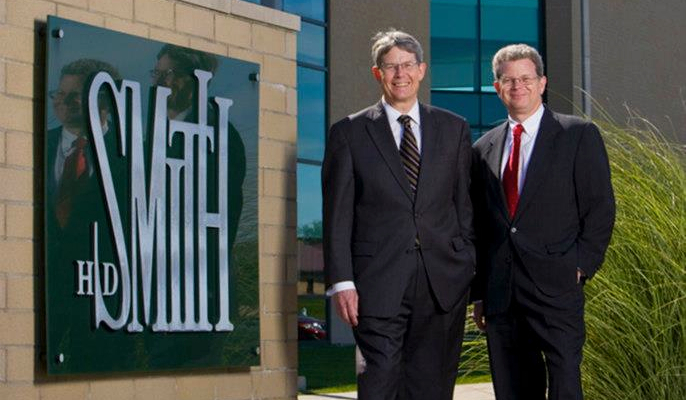 Smith Wholesale Drug Co., now becomes its president and CEO, with responsibility for the H.D. Smith wholesale distribution business unit plus the corporate functions of information technology, human resources and finance. Bob Appleby, previously senior vice president of category management for H.D. Smith Wholesale Drug Co., has been named president of H.D. Smith Specialty Solutions, which includes subsidiaries Smith Medical Partners and Triplefin. H.D. Smith said that Appleby, in shifting to the new role, will manage one of the company’s fastest-growing business units. In addition, Joe Conda has joined the office of the chairman as executive vice president to focus on expanding the company’s role as an integrated provider of health products, solutions and services, including acquisitions and alliances. Previously, Conda served as president of H.D. Smith Specialty Solutions. Through its wholesale business unit, H.D. Smith provides a full line of prescription drug, health, beauty, wellness and home health care products, as well as a range of business solutions for retail pharmacies, institutions and health systems. Through its specialty solutions business unit, the company provides specialty distribution, specialized third-party logistics and clinical trial procurement services, as well as solutions to foster patient access and medication adherence for traditional and specialty pharmaceutical manufacturers. In addition to its wholesale drug operations, H.D. Smith operates Smith Medical Partners, Triplefin, HDS Healthcare Packaging and Valley Wholesale Drug.